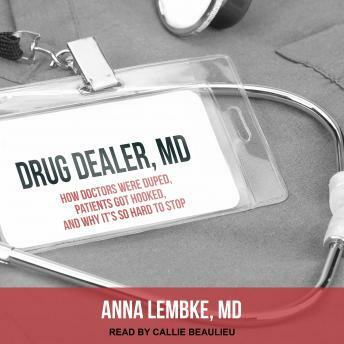 In Drug Dealer, MD, Dr. Anna Lembke uncovers the unseen forces driving opioid addiction nationwide. Combining case studies from her own practice with vital statistics drawn from public policy, cultural anthropology, and neuroscience, she explores the complex relationship between doctors and patients, the science of addiction, and the barriers to successfully addressing drug dependence and addiction. Full of extensive interviews-with health care providers, pharmacists, social workers, hospital administrators, insurance company executives, journalists, economists, advocates, and patients and their families-Drug Dealer, MD, is for anyone whose life has been touched in some way by addiction to prescription drugs.